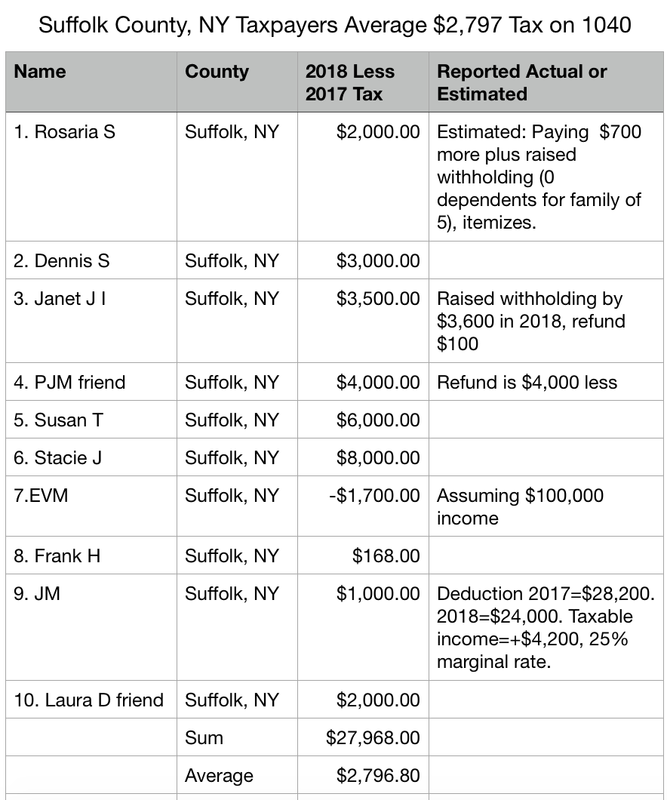 On Long Island, NY for middle-income folk, tax refunds are not matching expectations. The cap on state and local taxes (SALT), including both property taxes and income taxes (or sales taxes in states with no state or local income tax) is taking away the benefits of tax cuts on incomes for many taxpayers. 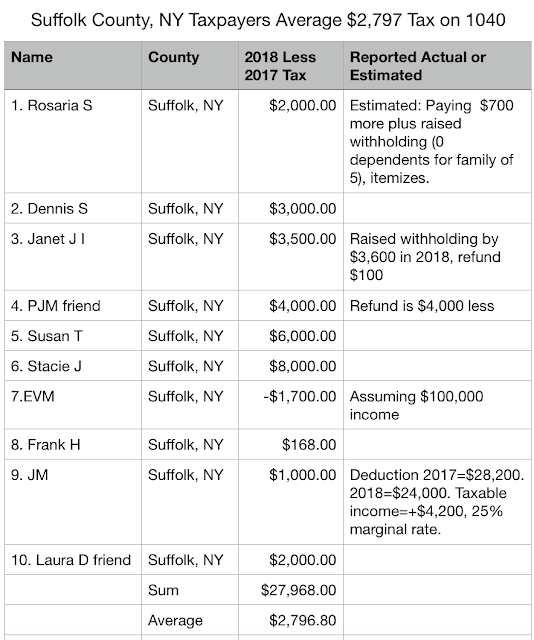 The most-affected states by the cap on SALT deductibility are New York, Connecticut, New Jersey and California, in that order. Beware the Ides of April, i.e., April 15. Comparing federal taxes paid on 2018 income with taxes paid on 2017 income, here are some early numbers. Please send any figures you have, or find online, to john@cityeconomist.com and I will add them. If you can't remember your prior-year tax bills, you can get them here from the IRS: https://bit.ly/2WMgpuG.